Answers to the most frequently asked questions can be found over at our help center but here we’ll touch on how you can prepare your home for the arrival of your SweepStar, or anybody coming to assist you to a Clean Happy Home. 1. First things first, tidy up your place. Chances are … your bedroom dresser is probably in a state after your morning routine, you’ve got yesterday’s clothes on the floor that didn’t make it to the laundry basket, there’s a wet towel mimicking a bath mat in your bathroom and some crockery that’s now become an ornament on your dining room table. Right? To make things easier for your domestic worker, it would be worth arranging your dresser (and other counters) accordingly, picking up things from the floor and packing the dishes together at the kitchen sink, etc. If they’re changing the linen, take out the new sheets and place them on the bed, towels included. This is a good time saver for your SweepStar and ensures there is no confusion or misunderstanding about where to find the new linen and towels. If you’ve got loads and piles of clothes and dishes that require cleaning, make sure you run a load of each ahead of time. With regards to your laundry, this will allow your SweepStar (or domestic) to hang the first load and immediately run the next – allowing more time for the laundry to dry and for them to get to the ironing! And the same with your dishes – load the dishwasher and run the cycle. When your SweepStar arrives, the dishwasher can be unpacked and they can spend more time doing a thorough wash down of your kitchen counters and cabinet doors, as well as your most used appliances (the fridge, microwave and stove). Your SweepStar will require a few things to complete the required tasks. This includes the basics such as a broom (or vacuum), a mop and bucket, some cloths and cleaning supplies such as dishwashing liquid, bleach, toilet cleaner, Windowlene, ammonia and furniture and/or floor polish. If your cleaning appointment involves laundry and ironing, don’t forget to take out the iron and ironing board as well. Supply your cleaner with detailed instructions of what it is that you’d like them to focus on. Our system will have provided you with an estimate based on your cleaning needs. Please ensure you keep in mind that if you reduced this, your SweepStar won’t be able to complete all tasks within the reduced time so make sure you let them know what to prioritize. SweepSouth offers a general, domestic cleaning service so if you’re in need of a spring clean or deep clean, you will need to book extra time. You can chat to your SweepStar on arrival to confirm what work/tasks need to be completed or you can leave a clear list of tasks. Our app also allows you to leave a note for your SweepStar with any special instructions that you’d like to communicate with them. Please just ensure that these instructions do fall into general cleaning. 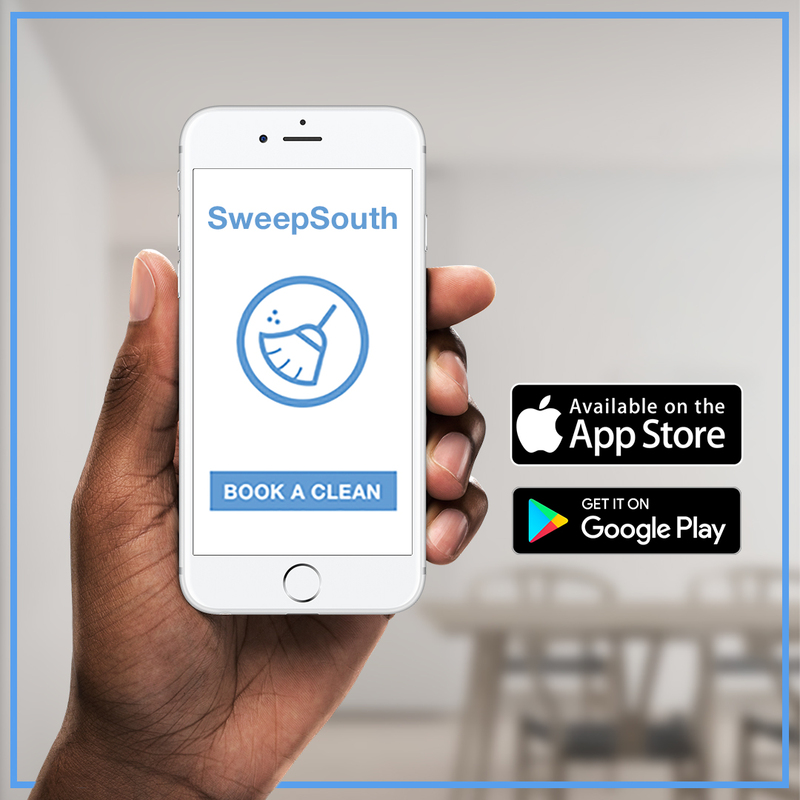 New to SweepSouth? Work your way through our booking process to get an estimate of how much your home clean will cost. We can’t wait to help you to a #CleanHappyHome!